The Primary Health Network (PHN) is a Federal Government funded organisation dedicated to improving the health and wellbeing of our community by designing, commissioning and implementing innovative solutions for better integrated primary health care. Each year (PHN) SA recognises excellence in a number of areas of health care delivery. 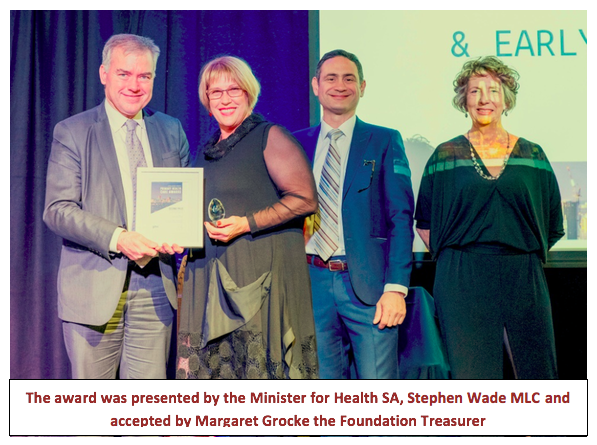 This year the Trojan’s Trek Foundation was recognised in the Outstanding Achievement in Health Promotion and Early Intervention category as the runner-up. This is appropriate and timely as all those members who have been involved in treks in some capacity will attest.